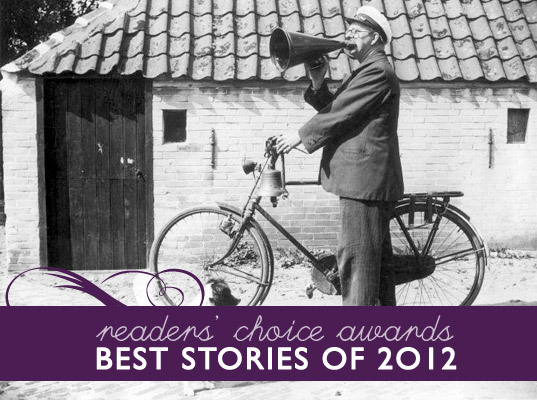 Announcing the Winners of Ecouterre’s 2012 Readers’ Choice Awards! Our readers have spoken! Make way for the most awe-inspiring, heart-rending, ground-breaking, game-changing, mind-boggling, and future-forward eco-fashion stories of 2012, as selected by you. As for the year ahead, don’t miss what 27 sartorial soothsayers, including journalist Lucy Siegle, eco-model Summer Rayne Oakes, and Coco Eco’s Anna Griffin, had to predict. Here’s to you, 2013. Announcing the Winners of Ecouterre�s 2012 Readers� Choice Awards! Our readers have spoken! Make way for the most awe-inspiring, heart-rending, ground-breaking, game-changing, mind-boggling, and future-forward eco-fashion stories of 2012, as selected by you. As for the year ahead, don�t miss what 27 sartorial soothsayers, including journalist Lucy Siegle, eco-model Summer Rayne Oakes, and Coco Eco's Anna Griffin, had to predict. Here�s to you, 2013.